We have tested all the smart fitness trackers made by Germin below for their usability during sports and also day to day life! Make sure that you check them all out! Our favorite is the garmin vivofit 2 which comes as a bundle with the heart rate tracker! 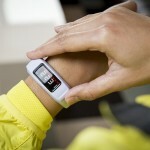 We will keep you posted as we add more fitness trackers by garmin, so make sure that you check back every now and then! Until then, make sure to check out our comparison section! Formaly known as ProNav is an American multinational technology company. It was founded in 1989 in Texas and has become one of the leading developers of GPS technology. No wonder that they are able to contest with other companies such as Fitbit when it comes to the fitness trackers market.